Phragmites, or common reed, is a tall marsh grass that is ubiquitous in the New York area. It is easily recognizable by its tall tasseled stems, which can reach ten feet in height. Phagmites has grown in the New York area for generations, but during the last couple of decades has become extremely aggressive, displacing other wetland plants to produce "Phragmites monocultures"- vast fields where it alone grows. Furthermore, it out-competes other wetland plants in a wide variety of settings, saltwater and freshwater, urban and wild. The reason for its recent success is not well- understood, but probably involves cross-breeding of an originally less-aggressive North American variety with plants brought over from Europe. Piermont Marsh is a 200+ acre wetland located in the Hudson River near Piermont, NY. A botanically-diverse salt marsh as recently as twenty years ago, it is now nearly a Phragmites monoculture. Many nearby wetlands have suffered similar fates, including other salt marshes along the Hudson River and streams, lakes and wetlands in neighboring Rockland and Westchester counties. Phragmites can now be found in nearly every patch of damp soil in the area - even in drainage ditches along the region's highways. 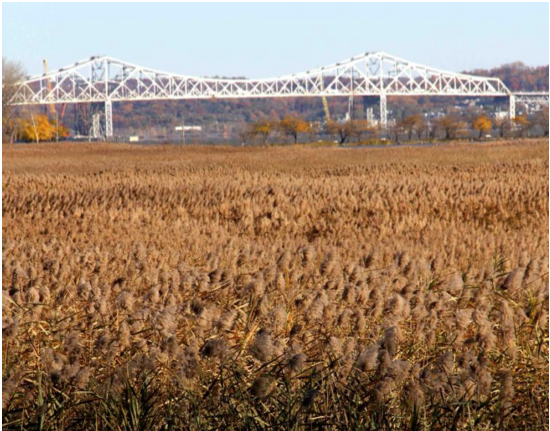 The New York State Department of Environmental Conservation (DEC) has proposed eradicating Phragmites grass in Piermont Marsh in order to return that wetland to a botanically more diverse condition. I have been able to track down very little detailed information about the plan. The only primary source seems to be the Permit2 (ID 3-9903-0043/00012) that the DEC posted to it web site that allows the NYS Thruway Authority to replace the Tappan Zee Bridge but would also require it to perform a variety of restoration projects, among which is: “Wetlands Enhancement at Piermont Marsh ‐ to be completed within seven years of the effective date of Permit”…”Phragmites control will be implemented on approximately 200 acres through application of herbicide or other means with the goal, where practically achievable, of complete eradication from 90% of the project area while minimizing damages to native vegetation. Maintenance spraying will be performed over a five‐year period as needed” (Mitigation Section C.ii). Piermont Marsh is apparently not the first such project, for the DEC web article on Tidal Wetland Habitats3 says: "Control of the invasive plant common reed (Phragmites australis) in Tivoli Bays, Stockport Flats and Iona Island Marsh has been underway for several years. Herbicides that are approved for use in wetlands are carefully applied to kill the invasive plant, allowing native marsh plant communities to return." Yet I have not been able to track down any studies of the effectiveness of these efforts or even opinions on whether they should be considered successful. The proposed uses of chemical herbicides have made the proposal very controversial, especially within Piermont and other neighboring communities and among many environmental advocacy groups. What is the motivation for the project? Superficially, the purpose of a restoration project is to restore something to its original condition. But why is restoration a priority? Is the motivation primarily aesthetic - to make the marsh look nicer? Does the spread of Phragmites in the Piermont Marsh pose safety concerns, such as wildfires and navigation hazards? Will the restoration create habitat for threatened plant or animal species (and if so, which ones)? Or is the project primarily an experiment to test marsh restoration techniques that might be more widely applied elsewhere and at a later date? Any one of these might be a good reason to seek to restore the marsh. On the other hand, the mere availability of funds, implicit in the funding-by- permitting approach, is not a good reason. Yes, the Tappan Zee Bridge project gives the DEC access to the deep pockets of the Thruway Authority to do something putatively beneficial to Nature. But that in itself is not sufficient rationale for any specific project. What are the goals of the project and how will progress towards them be assessed? The proximal goal, as stated in the Permit, is clear: To eradicate 90% of the Phragmites, keep it eradicated for five years, and to allow other marsh plants to grow. Even so, does the 90% figure have a basis related to the science of Phragmites control or is just a figure chosen to sound impressive or to be plausibly reachable? Is there a plan to monitor changes in the marsh, in order to assess improvements in aesthetics, safety and wildlife habitat, and if so, what level of improvement is considered acceptable? Will we, at the end of the five years, be in a position to say with some certainty that the project has succeeded, that we have won our battle against Phragmites? Interestingly, in connection with an assessment of removing landfill from the northern end of Piermont Marsh, the DEC Permit says: “As part of the assessment, the [Authority] will conduct baseline studies of existing plant and animal communities …” (Mitigation Section C.v). Such baseline studies, if relevant to the marsh as a whole and not merely it northern end, would be very helpful in quantifying the effect that eradication efforts are having. What method will be used to eradicate Phragmites and what safety concerns surround it? The Permit implies that herbicides will be used. Which ones? Two herbicides are in use nationally for Phragmites control, glyphosate (sold under the brand names Roundup and Rodeo) and imazapyr (Chopper, Arsenal, Assault). Glyphosate is cheap, imazapyr more expensive. Both need to be mixed with chemical surfactants that promote absorption, especially when used in a marsh setting. What safety hazards do the herbicides and surfactants pose? Both glyphosate and imazapyr are broad-spectrum herbicides that kill more-or-less every green plant they touch. So I suppose that the basic eradication approach is to "kill everything in the marsh and start from scratch". How will they be applied? Piermont Marsh is pretty large, so that I suppose that the application cannot be done by workers carrying spray cans, but requires some sort of heavy equipment (ATV's, boats with spray towers, aircraft, etc). How well can the application be controlled (so as not to defoliate neighboring property) and how much incidental damage to the marsh will be caused by the equipment? Finally, what is to be done after the Phragmites has died. Some sources that I have read go as far as recommending the dead stalks be harvested and disposed of. 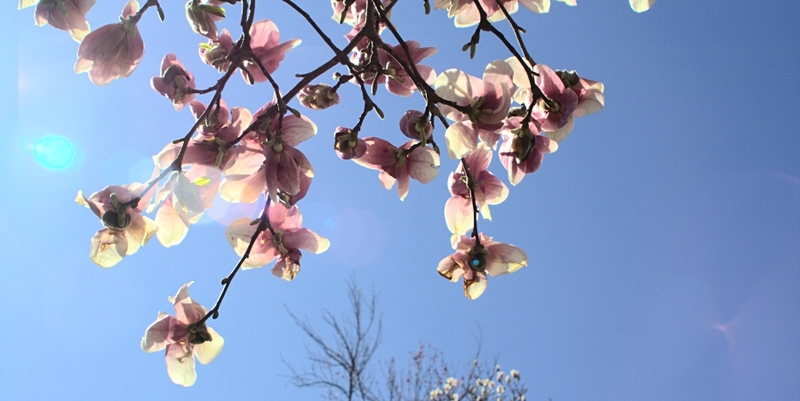 How will native plants communities be reestablished? The implicit purpose of the eradication is to allow native plants to recolonize the marsh, but information on how this is to be done is sketchy. Is there a reseeding or replanting effort? Or is Nature being relied upon here to do the work? What is the probability of success? Phragmites control is well-established, but the most common scenario involves a farmer using glyphosate to kill off the Phragmites clogging up a drainage ditch. I have been able to find relatively few case studies of marshes as large as Piermont and, while some degree of Phragmites control seem to have been reached in those cases, complete eradication was not achieved. For example, in the Lord’s Cove (Connecticut) case cited by Gazaille4, glyphosate spraying followed by mechanical cutting eliminated Phragmites from only 75% of that wetland’s 200 acres. Piermont Marsh is not a drainage ditch but rather an important part of the Hudson River Estuary. Success means improving the ecology of the marsh, not merely killing off the Phragmites. What level of annual maintenance will be required to forestall the regrowth of Phragmites? I think that it’s clear that left to its own devices any "restored" wetland in the New York area - Piermont Marsh included - will soon revert back towards a Phragmites monoculture. The small percentage of Phragmites plants that were missed by the eradication will propagate and Phragmites seeds blown in from the neighboring infestations will sprout. Some level of ongoing eradication will be necessary to keep Phragmites out of Piermont Marsh. What kind and size of effort is envisioned? How will this maintenance be funded, especially after the five years commitment of the Thruway Authority expires? What ongoing problems will such maintenance create? Dr. William Menke is a Professor of Earth Envrionmental Sciences at Columbia Univerity. Views expressed herein are his own and are not endorsed by the university.